Four months before Elmia Wood opens, the organisers confirm it will be the world’s biggest forestry fair ever. “By January we’d already sold more stand space than at the previous Elmia Wood in 2013,” says Exhibition Manager Jakob Hirsmark. 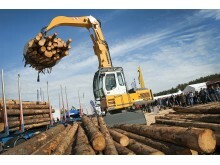 Elmia Wood has been the world’s leading forestry fair for many years. Decision makers from around the world come here to experience the latest technology in use. This time the fair will be bigger and broader than ever. Work continues daily to build new roads and lay out new areas in the forests south of Jönköping, Sweden. Three new sections will welcome visitors. The biggest of these is Load & Transport with its theme of forest roads, logistics and timber handling. Big-name exhibitors planning major programmes in this section include MAN, Liebherr, Volvo and Tatra. “It’s unusual to have such a strong and immediate response for a new section,” Hirsmark says. Another new section is the Drone Zone. As the name suggests, the theme is drones. 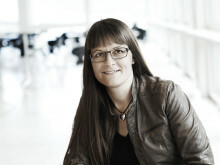 Elmia is cooperating with UAS Forum, which organises the Nordic region’s leading conference on unmanned aerial vehicles. The exhibitors are leading suppliers of aerial products and services. Several times each day there will be aerial shows, demonstrations and talks. Hunting is the third new section. Wildlife management is part of active forest management and the Hunting section brings together exhibitors, target practice ranges, food made from game and other activities. Forestry decision-makers can gain high-quality knowledge from the programme of seminars in the Event Tent. The seminars planned so far are entitled: Invasive species, Precision forestry, Careful logging, Remote sensing, and Technological leaps for future forestry. Germany’s KWF is also holding daily discussion forums for the German-speaking public. The fair as a whole is more clearly divided by theme to make it easier for visitors to find the exhibitors they want. This is also reflected in the fair catalogue and other information. This arrangement is necessary because Elmia Wood is growing and would otherwise be hard to navigate. “We recommend a couple of days at the fair so you can have time to discover everything that’s happening in the forest industry,” Hirsmark says. The fair’s international representatives are working hard now to help forestry professionals from some 50 markets to arrange their travel to the forests south of Jönköping in June. Everything is coming together so that the world’s leading forestry fair can be the biggest and most visited ever. 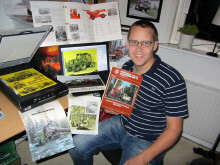 Elmia Classics, the e-museum for old forestry machines and associated products, has been updated with new machines. The museum has now gained both older and newer machines made in both the Nordic region and further afield.